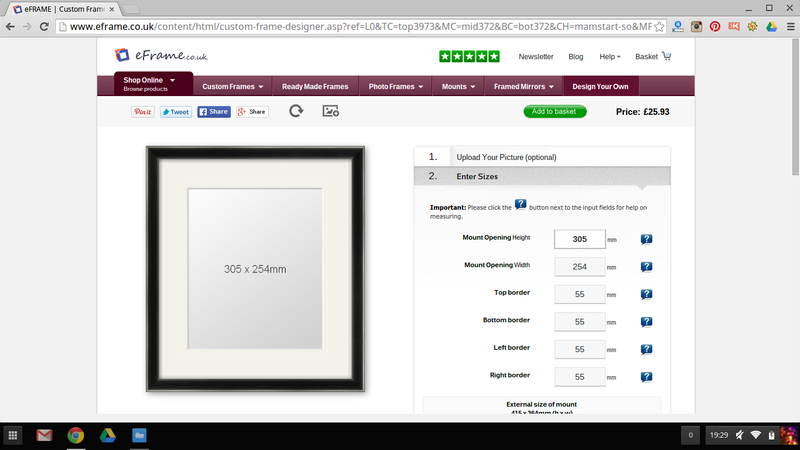 How many times do you have that perfect photo but you just cannot find the perfect frame for it to go in? 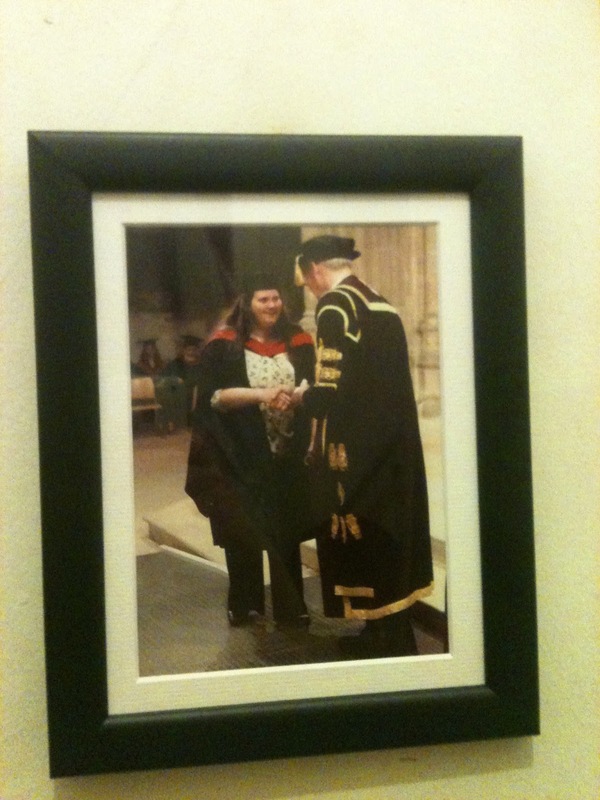 Eframe.co.uk are here to help you by offering a made to measure service for your treasured photo. All you need to do is go to the 'Design your own' tab and click. 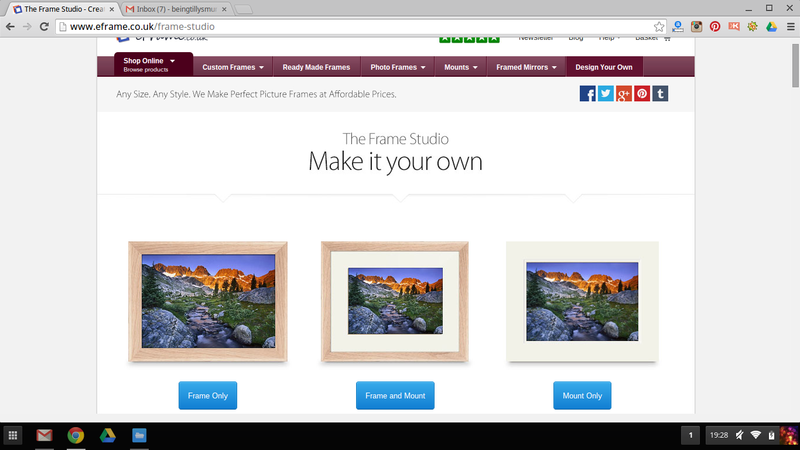 you then have the choice of choosing whether you want just the frame, a mount and a frame and a mount only. 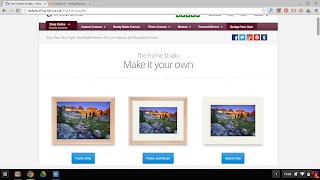 Once you have chosen, you then click on the appropriate option, we chose a frame and mount to go with our photo. The next you are able to choose is your mount style and and colour, you have loads of colours to choose from. 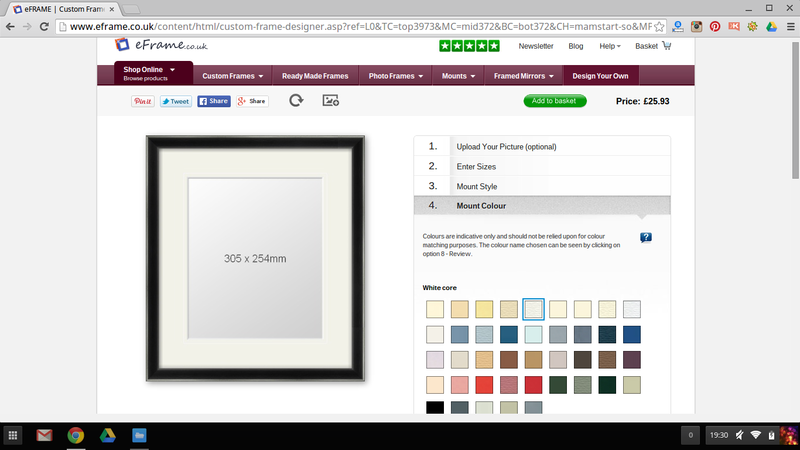 You then choose the frame size and colour, so we chose black, to compliment our photo, Then you get to choose your frame design too. 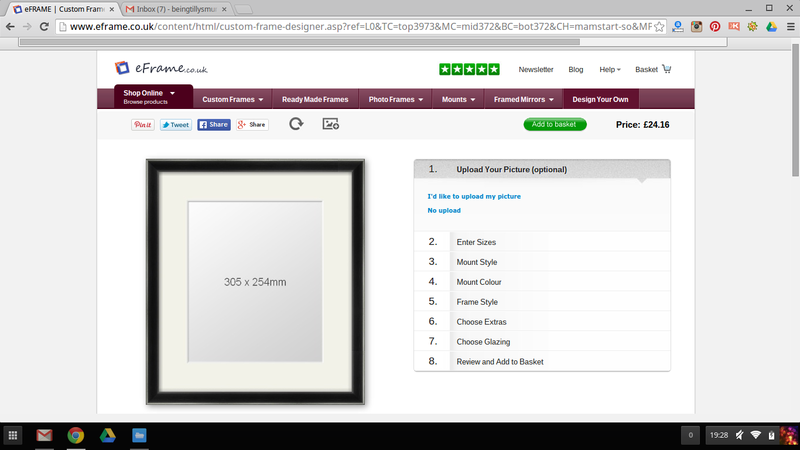 Right at the end you get to choose your glazing and if you would like any extras added to your frame. like picture hooks, hanging tools, frame stands and whether you want the priority service. 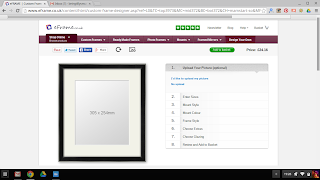 There is even an option where they will fit your art work for you into the frame, all you need to do is send the art work in and they will return it placed in the frame. If your worried about the cost, then don't - the extras are added on as you pick and choose, so you know exactly how much it is going to cost from the start. If you find you cant afford the frame then you can simply go back and change the size or adjust your requirements without losing all the saved sections. I like this because it isn't a shock when you get the price at the end. its easy to keep track of the cost and you can decide as you go on, whether you can afford the extras that Eframe offers. 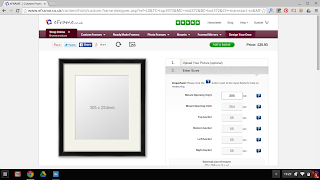 At the end you simply add it to your basket and pay for it by card and your frame will be with you in 5-7 days. 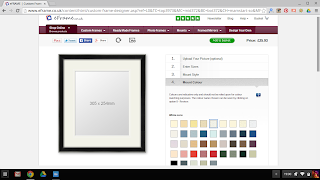 The frames are made in the UK by a British company. Eframe have a phone number and a friendly team to answer any queries you have and you can contact them on 01480 214777 Mon-Fri. When our frame arrived it was packaged well and we were really pleased with the result. It was perfectly finished and better than I could of imagined it to be. 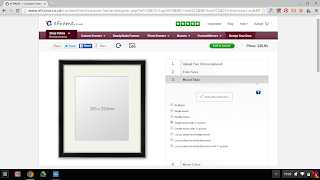 The frame comes with a plastic covering over the glass on both sides for added protection, this gives you great confidence that care has been put into your frame. 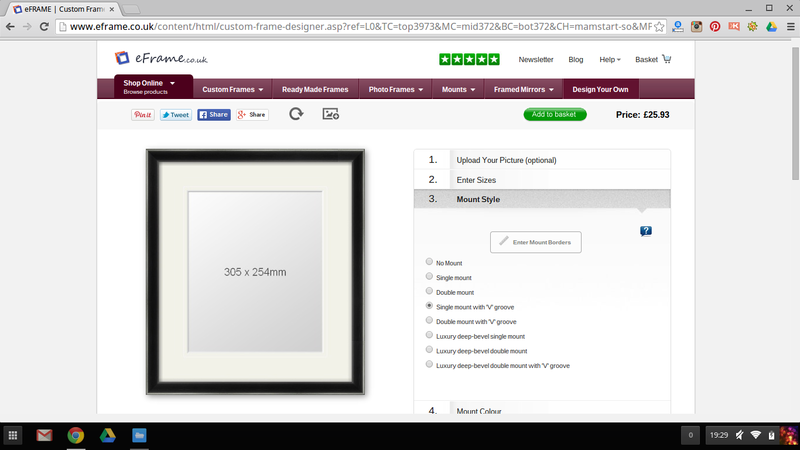 For the purpose of the review, i asked for a frame with odd sizes and it was made to the exact size. We also paid a stand, so the photo can stand freely on a side. We received a frame in exchange for a review, these words are my honest opinion and not influenced by anybody.